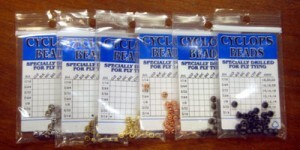 Gold color brass bead sized to the hook. Feathers commonly used for tying soft hackle flies, wing cases, wings and collars. 4 colors available. These are great for traditional wet and salmon fly feather wings.